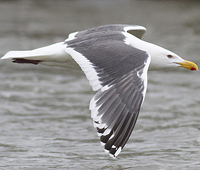 The Slaty-backed Gull breeds in north-east Siberia (Russia) from Cape Navarin south to the northern tip of North Korea, including the Commander Islands, Russia and Hokkaido, Japan. Its winter distribution extends south to encompass Korea, the extreme north-east of China, much of Japan and Taiwan (del Hoyo et al. 1996). The global population is estimated to number c.25,000-1,000,000 individuals (Wetlands International 2006), while national population estimates include: c.50-10,000 wintering individuals in China; c.50-10,000 wintering individuals in Korea; c.10,000-100,000 breeding pairs and > c.1,000 wintering individuals in Japan and c.10,000-1 million breeding pairs and > c.1,000 individuals on migration in Russia (Brazil 2009). This species can be found over inshore coastal waters. Its diet varies year to year depending on availability, mainly consisting of fish and invertebrates (e.g. crabs, sea urchins) but also carrion, refuse, offal, bird eggs and chicks, voles and insects. Birds may also take fish and roe during salmon spawning, leftovers from bear-kills, berries, and waste from fisheries and slaughterhouses. Some Hokkaido males specialise on predation, piracy and scavenging from seabird colonies but they feed their chicks mostly on fish. Prey is obtained by a varied of methods including plunge-diving and surface-plunging. Birds arrive at breeding colonies in April in the south and June in the north. Colonies form on low sea cliffs, rocky islets, sandy shores or the rocky tops of sea cliffs and can number from dozens to 1500 pairs. Many populations are non-migratory (del Hoyo et al. 1996). 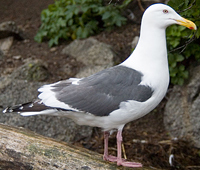 Ekstrom, J., Butchart, S., Calvert, R.
BirdLife International (2015) Species factsheet: Larus schistisagus. Downloaded from http://www.birdlife.org on 20/11/2015. Recommended citation for factsheets for more than one species: BirdLife International (2015) IUCN Red List for birds. Downloaded from http://www.birdlife.org on 20/11/2015. Slaty-backed Gull (schistisagus) adult, June 21 2013, Kamchatka / Chukotka Coast, Russia. Picture: Benjamin van Doren. 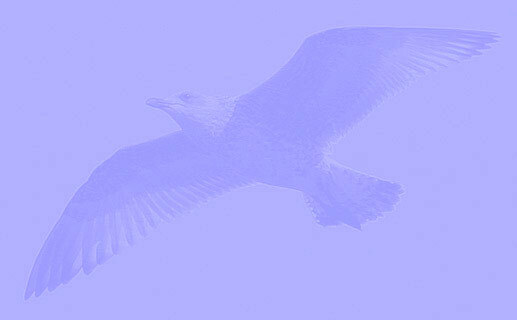 Slaty-backed Gull (schistisagus) adult, June 2008, Magadan, Magadan Oblast, Russia. Picture: A.V. Andreev.